A classic, sophisticated armchair created in the 1950s by the highly acclaimed Danish architect, Hans Olsen. Mr Olsen is an original design that is a perfect match for a gentleman’s room or a feminine sofa group, in a home office or a holiday cottage. Anywhere that classic furniture design makes all the difference. The armchair is both slender and organic with a lightness that is unusual by comparison with other design classics of the period. Mr Olsen’s special elegance derives particularly from the soft shapes of the armchair’s armrests and the round, tapered legs. The armchair is available both in a classic leather version and a fully upholstered version in beautiful fabrics, including sophisticated velour for a more daring look. 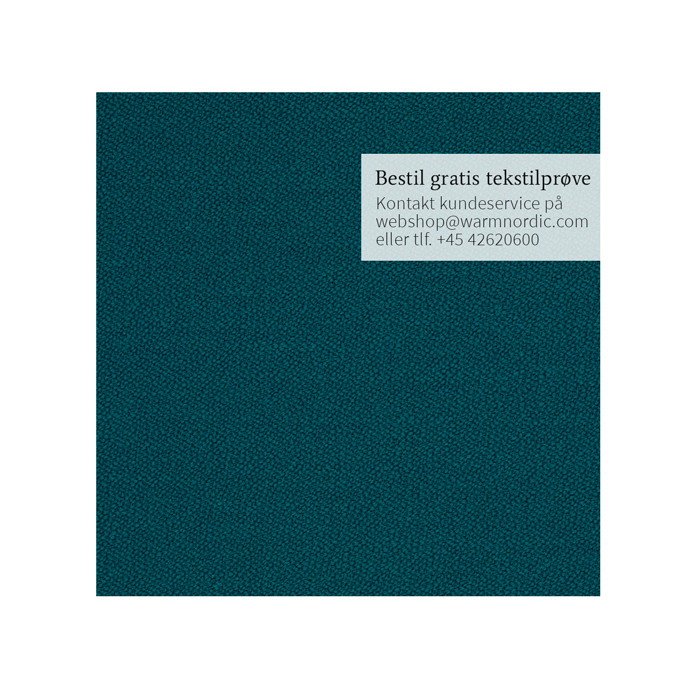 Choose from several different exclusive furnishing fabrics from the likes of Kvadrat in a variety of classic colours from the Warm Nordic universe. The frame is available in the highest quality walnut oiled oak or smoked oak. 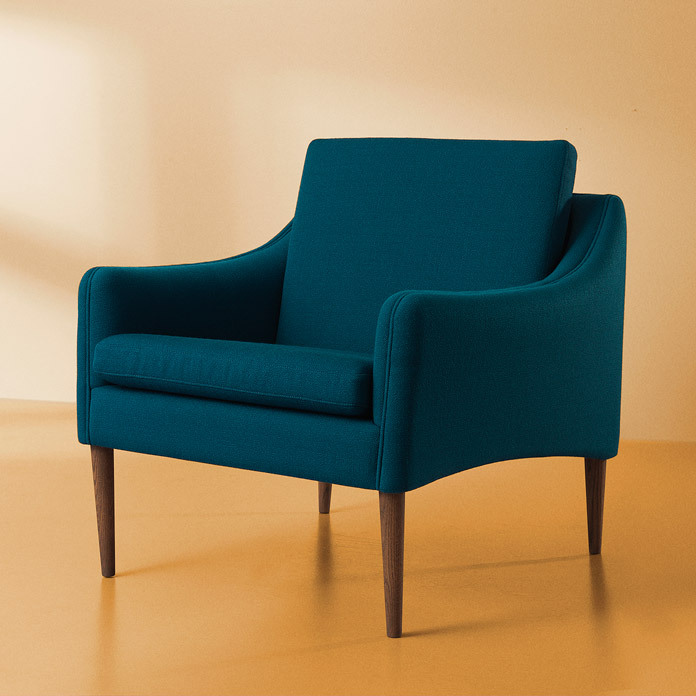 The elegant Mr. Olsen armchair was originally designed in 1958 by the architect Hans Olsen, whose experiments led to some highly original designer furniture. The armchair was a part of the 800 range and is the architect’s personal take on the classic armchair. A sofa is also available in the same consummate design. 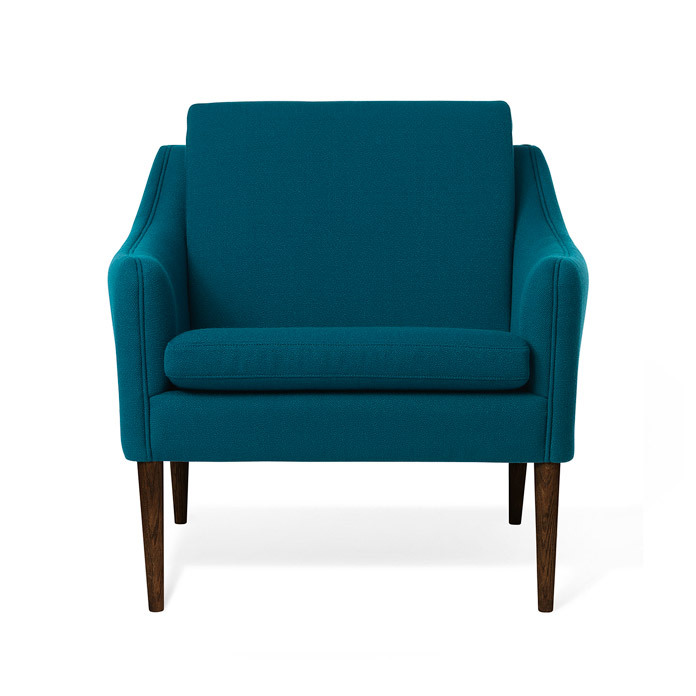 The Mr. Olsen armchair is characterised by its refined appearance. Hans Olsen was trained in the tradition of Kaare Klint, but managed to unfetter himself and invest Mr. Olsen with personality and finesse. As such, the design captures the zeitgeist of the 1950s, when experiments, bravery and skill resulted in world-class furniture. The Mr. Olsen armchair has been specially selected for the Warm Nordic range as a tribute to iconic Nordic design that invests modern décor with invaluable diversity and depth.